As the exhibition hall doors creak to a close and the mist settles over the desolate empty space, another tradeshow ends with the scattered remains of the marketing teams’ hopes and aspirations. There are some simple steps to prevent the grim demise of a trade event. Choosing the right show for your business can provide wonderful returns on investment, generating new customers, new markets and boosting brand exposure. Identifying key objectives, designing and accessorising your stand, exhibitor behaviour and lead follow-ups all contribute to scarily good results. 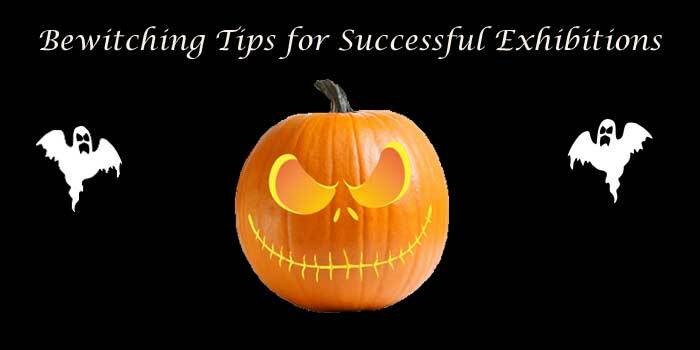 Read our bewitching Halloween guide to successful tradeshow events. Spending time researching suitable exhibition trade events is essential to achieving excellent returns. Alternatively choosing the wrong show can be time consuming and bloodcurdlingly expensive. It’s ultimately a balance between the cost of the exhibition and the sales generated from the event. Speaking with show organisers, suppliers and customers can provide information on potential trade shows. Research previous shows and discover which similar organisations have attended. Search Google or investigate via social media and forums. If you’re frighteningly organised then visit a show the year before to see if it’s suitable for your business. You’ll also be able to compare your business with your competitor’s and perhaps discover new business opportunities. If you’ve had a horror show in the past then it’s important to learn from your beastly mistakes and make the right decisions. Be brave, but don’t be headless so ensure you’ve exhausted your options before choosing your show. The old witch wouldn’t be as effective without her black cat and knobbly broomstick. Likewise, the tradeshow exhibitor needs additional props to have a successful show. 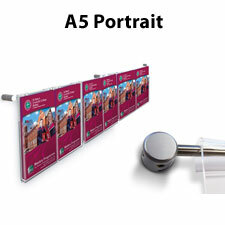 A large exhibition display stand works in tandem with accessories such as literature dispensers and portable counters. Distributing leaflets provides a physical reminder to a customer’s of their visit to your stand. And don’t forget audio visual additions such iPad stands and TV monitors integrated into displays. Touchscreen tablets are useful for sharing additional product information and for taking customer details. The last thing a prospective customer wants to see is the Grim Reaper standing on the edge of a stand area, scythe glistening in the strip lighting. Welcome your visitors with a smile and show enthusiasm for both your own existence and the fact that they’ve approached you with an interest in your business. Ensure that you are completely comfortable with your products so you can naturally enchant them with a confident sales pitch. Potential customer will react to your persona and feel good about what you have to offer. So you’ve put everything into the cauldron and given it a little stir. The exhibition has been a success and you now you have a pile of customer leads. All the previous hard work could be undone if you fail to contact the prospective customer, in the same way a bubbling mix of spiders legs and badgers noses has no effect without the final magic words. The real impact of a show will be know 12 months after it has finished. You’ll know accurately by then whether your original objectives have been achieved. However, initial useful feedback can be gleaned from staff members who attended the stand. Did they represent the company effectively and could areas of the show have been improved? This will help assess whether your trade show event was worthwhile. 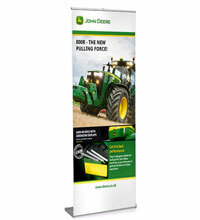 We hope that we’ve provided you some useful advice when preparing for a tradeshow event. 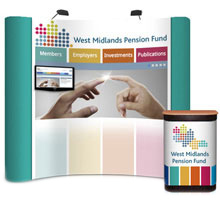 We’re one of the UK’s premier suppliers of display stands and exhibition boards so give us a scream on 0116 2554640 or email us to discuss your exhibition requirements.